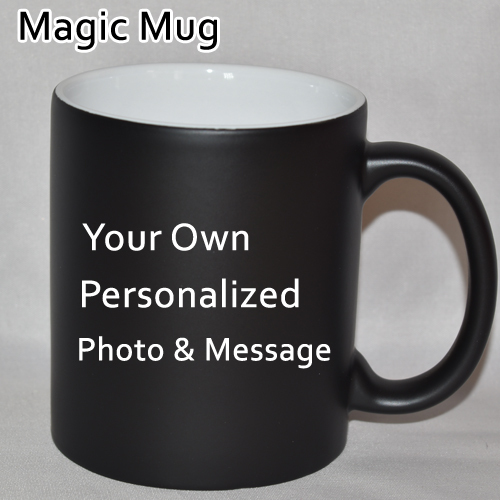 A magic photo mug is black at first but when filled with hot liquid, the image emerges on the surface, gradually. This mug is black on the outside (when cold. When hot, it is white) and white on the inside. 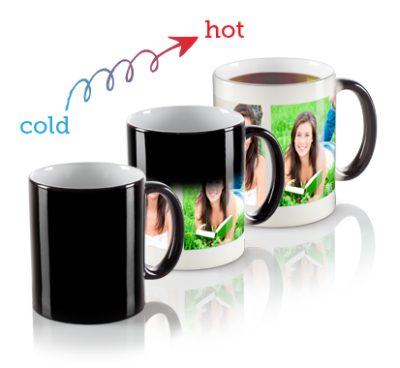 A photo mug is the perfect way to show off your photos or excellent designs that you love and enjoy. 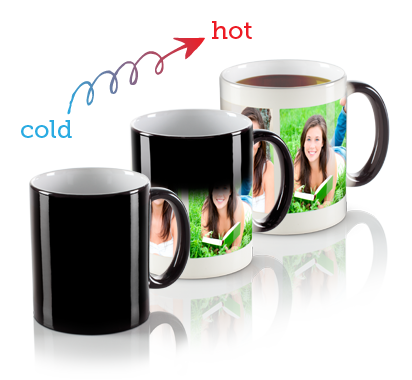 Customize this mug with your photographs, designs, logos create your unique mug. A wonderful gift for any occasion. You can personalize the Mug with your custom Photos. • After you place order, please email digital picture to sales@shop2ap.com with your order number. • Please place an order 2 to 3 working days before delivery date if your location is other than vijayawada.